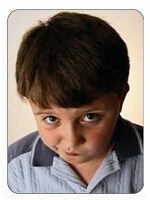 It can be frustrating and socially alienating to have ADHD. It is useful for children with ADHD to identify what feelings result from having ADHD so that they can isolate those feelings away from their sense of self and personality. It's actually very empowering for your child to ADHD is the cause of their frustration, because they can say 'it's not me, it's my ADHD'; in other words, it's not their stable and unchanging personality that causes frustration, but their ADHD that can be treated with coping strategies and medications, both prescription and drug-free. Having ADHD can make you feel misunderstood. You forget your homework often or forget specific directions your teachers or coaches have given you. They think you're doing it deliberately and blame you. Your family and friends sometimes think that you're deliberately forgetting things or not paying attention to them, too. Being misunderstood all the time will make anyone incredibly frustrated. Feeling frustrated almost always leads to anger. Next time you see this pattern of being misunderstood, feeling frustrated and getting angry, take a deep breath and realize that this is happening because of your ADHD. When you breath, take a 'diaphragmatic' breath, which means that your stomach actually pushes out as you inhale breath, and then the stomach lowers when you exhale. After you've breathed and feel nice and relaxed, remember that here are lots of coping strategies. Your parents, teachers and mentors can help you find coping strategies that help you achieve your full potential. Sometimes you feel awkward in social situations. You can't seem to get the words in your head out the right way. People just aren't seeing what you really want to communicate. To help you feel more comfortable in social situations, you can practice with people you feel comfortable with, whether it be your best friend, sibling or parents. Practice your communication skills. Lots of kids with ADHD feel like they only speak in half statements-if you feel like you do this, practice relaxing while you speak and trying to get your message across using simple, clear sentences. This practice will help you when you enter other social situations. Just remember to breathe! It is important to talk with others about ADHD and how to deal with it. Join our free chat room.